The Autumn school holidays are nearly here and you’ve got over two loooong weeks to keep the kids entertained. We all know how expensive it is to keep boredom at bay so we’re here to help you save oodles of money. We’ve found plenty of awesome FREE activities for the kids these school holidays, that cover both indoor activities for wet days, and outdoor activities to keep the kids active and healthy. Take advantage of the Powerhouse Museum’s FREE admission policy for children under 16 years of age! 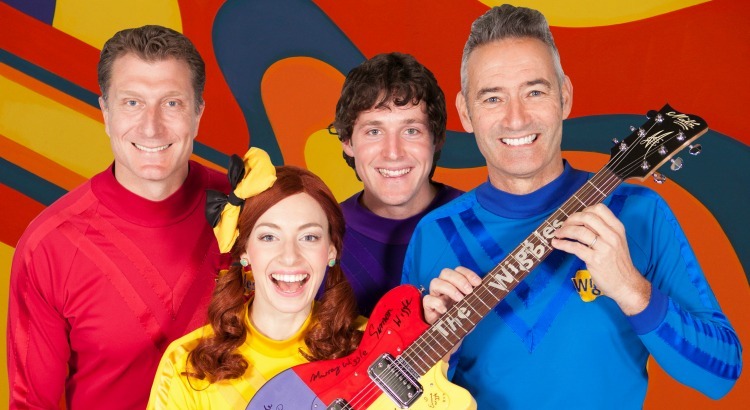 Free exhibitions include the family-friendly Wiggles Exhibition that includes memorabilia from the new cast (Emma’s ballet shoes & Lachy’s teddy bear) as well as Captain Feathersword’s telescope, and an interactive Big Red Car you can hop in and grab a great photo! Also free are a range of workshops based on the new Star Wars exhibition. From air resistance force to muscular force to gravitational force, complete a series of challenges using physics, technology and your ingenuity! Create and prototype a flying creation and test it out in big wind tubes. Move magnets to draw and make your own designs at magnetic tables and explore tension as you squeeze through the tension walls. 13 – 28 April 2019, (Ages 5 – 12). Cast your mind back to an island ‘girt by sea’, a penal settlement in the middle of Sydney Harbour with stories overflowing of charlatans, rogues, thieves and cut-throats – and they’re just the guards! Crooked Characters of Cockatoo Island and other Colonial Escapades is an hour-long family friendly journey into the hilarious and fascinating underbelly of Australia’s colonial and recent history and mythologies. The guides will take you on an entertaining romp through the Australian Penal System that thrived on Cockatoo Island. Entry is free but register here before you head to the island. From shooting hoops to wildlife exploring, Sydney Olympic Park has a host of free games and adventures for kids of all different ages. Kids in the Park offers the largest range of school holiday activities in NSW—and the best news is that there are heaps of free AND affordable things to do for $25 or less. With a number of FREE activities, including space racing, self-guided scavenger hunts and animal egg hunts, you're sure to find an activity that's made for your little one. Find the complete activity rundown here. Note that while some of the activities and workshops being offered are not free, there are several that are reasonably priced (such as the Kids In The Park Film Festival for $5/child, and Laser Tag for $19/child). We can't believe this is free! An inflatable extravaganza, Bounce Town, comes to Camden's new venue Town Park, Oran Park. Bounce to your hearts content at this inflatable wonderland. Also in Camden, don't miss Youth Week 2019 with lots of free or cheap events for youngsters. Take the sting out of your wallet by eating at one of these kid-friendly venues offering free meals for kids all through the holidays! Our recommendation is to try one of celebrity chef Colin Fassnige's awesome restaurants for quality food the parents will enjoy too. He has a couple of venues (and a sister pub) offering free kids meals during the holidays, find out more here. The entertainment specialists are putting on LOADS of free activities for kids this Autumn 2019. There's balloon twisting, sand art, slime, face painting, Easter egg hunts and so much more. Check out the full program here. And yes, it's all free! Sydney’s original experts in children’s birthday parties are putting on FREE workshops this Easter & April holiday for craft- and food-loving kids. Find out more here. If you have a flowering artist or just a kid that loves to get their hands scribbling furiously, then they’ll love the Art Gallery! Admission is free, and so are the permanent galleries and most exhibitions and events. If you can stop them from touching the artworks, kids will be awed by the sheer size of some paintings. There are also a couple of FREE 'Drop in and make' activities for the kids over the April school holidays: Decorative Dishes—in which kids will explore the Gallery Collection looking for patterns, then designing a pattern of their own on a terracotta platter to take home and enjoy. There's also Heavenly Treasures, where your little one will be inspired by the treasures on display in the exhibition Heaven and earth in Chinese art: treasures from the National Palace, Taipei, before dabbling in a spot of artmaking themselves. As part of the Cumberland Local Festival during April and May families can enjoy arts, culture, cuisine, sports and history around the local area. Many of the events are free, our top pick for the school holidays is the Fun 4 Kids event on April 26 in Pendle Hill. The kids can run through jungle mazes, search for dinosaur eggs, meet a dinosaur, play laser tag or get up and close with Aussie animals. Kids can also chill out in an outdoor Cinema to try yummy food from the food trucks. Find out more here. At the Rocks Discovery Museum, explore Sydney from pre-European days to the present in a restored 1850s sandstone warehouse, which houses a unique collection of images and archaeological artefacts found in The Rocks – some of which you can even hold. History will leap out at you through interactive touch screens, audio and visual elements. Entry is FREE, and it is reknown for being exceptionally family-friendly and hands-on. These school holidays, you can also honour the ANZACS by making your own commemorative poppy at the museum! Pirate or sailor enthusiasts will love browsing through the museum as it captures our ocean voyages with fascinating artefacts, lively exhibitions, fun activities for kids and even the chance to board ships! You can get the Free Galleries Ticket which covers the permanent galleries, a Sea Science Pontoon, and the under 5s play gallery to name a few. Join a family-friendly tour through one of the historic Sydney Living Museums, where your little one will be made to feel like a real explorer. From meeting Pudding the cow and other farmyard animals at Rouse Hill & Farm (pictured below), to stepping back in time through A Servant’s Life tour at Elizabeth Bay House, you'll be spoilt for choice, and are sure to find a museum that's conveniently located for you. All the SLM tours are FREE with museum entry, with FREE museum entry for kids under 5. Check out all the family-friendly tours here. We could return again and again to The Australian Museum. It’s packed with everything from sky high T-Rexes for your dino-lovers, to life-sized prehistoric animals and weird specimens from the insect world. General admission for kids under 16 years is FREE! Children will love the Kidspace for pre-schoolers where they can explore five pods (bug pod, marine pod, volcano pod, observation pod, imagination pod). Kidspace for Under 5s is a mini-museum that stimulates young children’s imaginations and encourages them to explore the natural world with five cubby houses to explore. We especially love the Search & Discover centre where you can see inside the taxidermed specimens to understand how they are prepared to look so lifelike, zoom in on the tiny with the easy-to-use microscopes, feel just how spikey an Echidna is, pose for a photo next to a well-behaved wallaby and feel how soft Koala fur is. Randwick City Library is putting on a screening of the Incredibles 2 and also activities with LEGO. Find out more here. Oatley Library are doing story time with slime! Find out more here. Check out our guide to Sydney's best kid-friendly libraries. Crafty kids will love the Easter activities here. Customise your very own Bunny Backpack in the special Easter Craft Zone and take it home to enjoy! Plus look out for the Easter Bunny hopping around the centre. All the details here. With two weeks of school holidays and Easter activities you'll find something for everyone here. From kaleidoscope making workshops to fresh food cook-offs and a travel expo for mum and dad! More info here. There will be a free play day at Chipmunks Play Centre on level 4. All children need to do is bring along a can of food to trade for a free entry. All the details here. Also, every Wednesday at 10.30am, encourage your child’s imagination with Storytime at Harry Hartog Booksellers Macquarie Centre. Don't miss the Jitterbugs children’s show, an interactive journey for children through the garden learning to compost, mulch, grow plants, play instruments, and make art whilst creating a green environment and a groovy lifestyle! It's free and there will be two shows daily at 11am and 1pm.